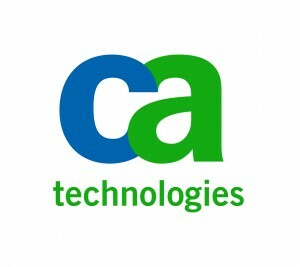 SaaS: CA Technologies Preparing MSP on Demand Portal? CA Technologies appears to be preparing a SaaS channel push that may be called MSP on Demand. MSPmentor stumbled onto the effort while researching a separate hardware as a service (HaaS) story on February 10. Here's the update and potential implications for MSPs. CA Technologies appears to be preparing a SaaS channel push that may be called MSP on Demand. MSPmentor stumbled onto the effort while researching a separate hardware as a service (HaaS) story on February 10. Here’s the update and potential implications for MSPs. CA MSP on Demand — apparently, a portal that will offer MSPs secure access, contracts and billing, user management and technical support for multiple SaaS applications. A CA Technologies marketing brochure describing the MSP on Demand effort (available as a [download id=”42″]). I checked in with several CA Technologies sources on February 10. Also, CA Technologies’ PR department is aware of my inquiry. So far, I’ve received no official reply about the apparent MSP on Demand portal and the marketing brochure. The MSP on Demand information seems to be closely related to CA’s existing SaaS portal promotions. I need to reiterate: I’ve yet to confirm whether CA plans to launch the MSP on Demand effort. Plus, I wonder if the MSP on Demand term is already trademarked by Ramsey Dellinger. I’ve requested a comment from Dellinger but have yet to hear back. Meanwhile, there is a bigger-picture story here. Over the past couple of years, CA has acquired a range of SaaS and managed services software providers. Companies like Nimsoft and 3Tera come to mind. On the one hand, CA has given each of the acquisitions the freedom to run as self-sufficient brands. But on the other hand, CA needs to gain economies of scale from its various SaaS and MSP software acquisitions. Perhaps a single, SaaS-centric portal for MSPs could potentially help CA Technologies to achieve that goal. Sign up for MSPmentor’s Weekly Enewsletter, Webcasts and Resource Center. Follow us via RSS, Facebook, Identi.ca and Twitter. Check out more MSP voices at www.MSPtweet.com. Read our editorial disclosure here.